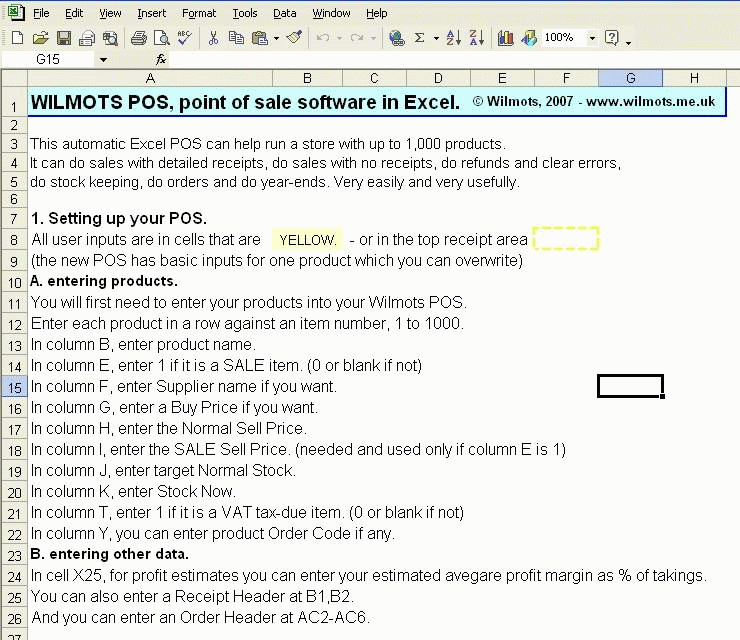 Our automated Windows POS point-of-sale software in Microsoft Office Excel is a MUST for any shopkeeper, and greatly helps run any shop or selling business with up to 1,000 products. It is currently used by UK, USA, Canadian and other businesses. 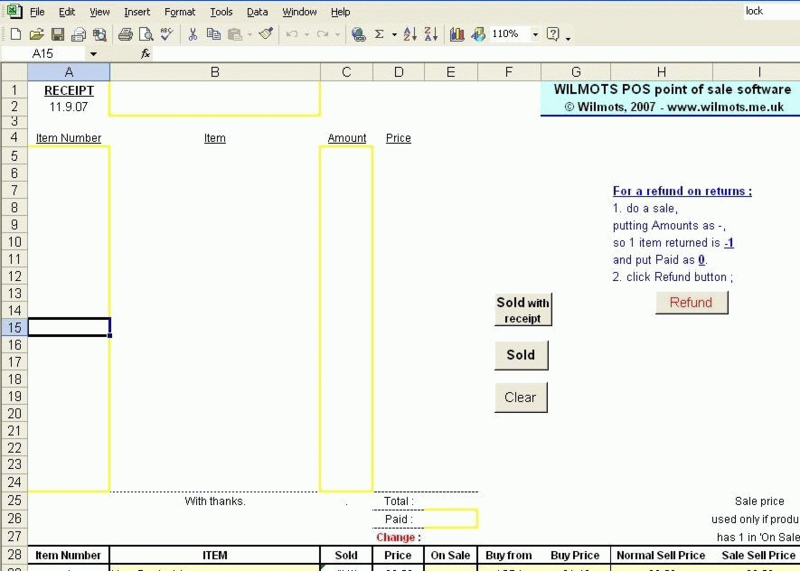 The Wilmots POS can do sales with detailed receipts or do sales with no receipts, can do refunds and clear errors, do stock keeping, do orders and do year-ends. All very easily and very usefully - just click a button !! And the cheapest POS on the market as well !! 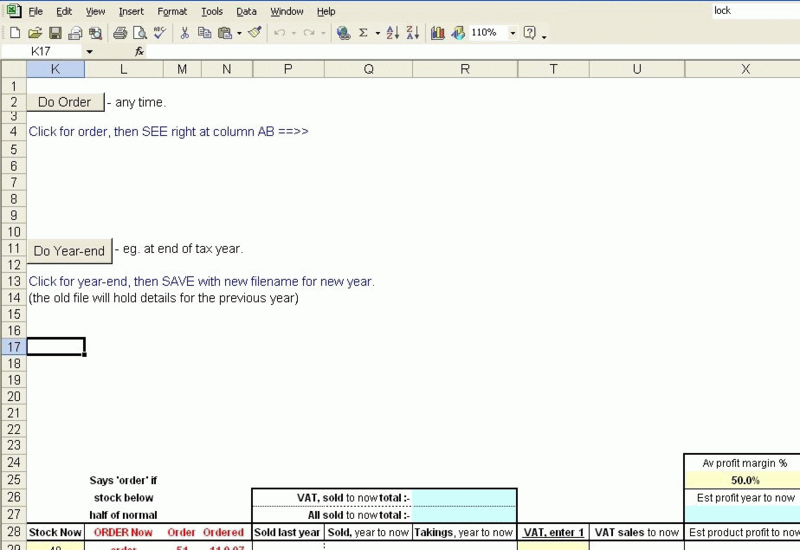 Standard version can be downloaded, for Excel2002 or later. Custom version available for all Microsoft Office Excel versions from Excel97 onwards, can be customised eg with your logo and to work in dollars. Get our automated Excel shopkeeper POS point of sales system in Pounds or Dollars now only £20.00, by clicking point of sale systems. OR see our automated Excel mortgage calculators now only £8.00, by clicking mortgage cost calculators. OR if you are considering a Buy To Let property investment and have access to Excel, then easily do your own costings with our very helpful Buy To Let profit calculator that includes an easy separate mortgage calculator - click Buy To Let Calculator. AND for housing developers we do our own great Excel Housing Development Appraisers and Shared Ownership Home Cost Calculator at good prices. or write Vincent Wilmot, 166 Freeman Street, Grimsby, N.E.Lincs, DN32 7AT.